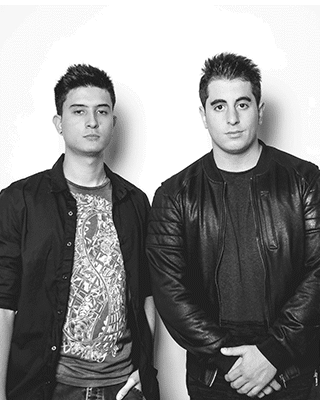 The young harsdstyle duo System of Loudness was formed by the spanish DJ´s and producers Sergio Pérez and Alexandro Hasegawa in 2012. In 2015 and 2016 they organized and promoted the release of the two national tracks compilation albums “Unity: The Album”, which has the collaboration of the best spanish hardstyle producers. That work caused the opportunity to play gigs at important clubs like La Riviera, Marco Aldany or Fabrik and at various festivals like A Summer Story, sharing line-up with professional artists like Atmozfears, Wasted Penguinz, Audiofreq, Wildstylez, Da Tweekaz, Noisecontrollers, Digital Punkz, Tuneboy, Headhunterz, Alpha Twins, etc. On March of 2015 they formed part of the producers team of the ducht label Diffuzion Records, label managed by Ducht Master. Their firsts releases took place with the release of the album “Break the Silence”, where the boys from System Of Loudness have produced two tracks with Stereocode: Equinox and Moonlight. After their release Beyond Known Space, the end of Diffuzion Records came and they decided to continue their musical career on X-Bone Records, where they have released four tracks: Meaning Of Life (with Sterecode), Deserted Place, On Cloud Nine (with JIM) and We Are Free (with Arzadous). On November of 2016 they took the international step with their first gig on Switzerland, where they played at Harder Nation 3 as the main artists. Nowadays they are still training their ears and producing skills so they can grow up as soon as possible as big artists.